Sail from the City by the BayOLD - Fugazi Travel Agency Inc.
2014 Departure Dates: Coming Soon! Grand Princess shows off her new look! 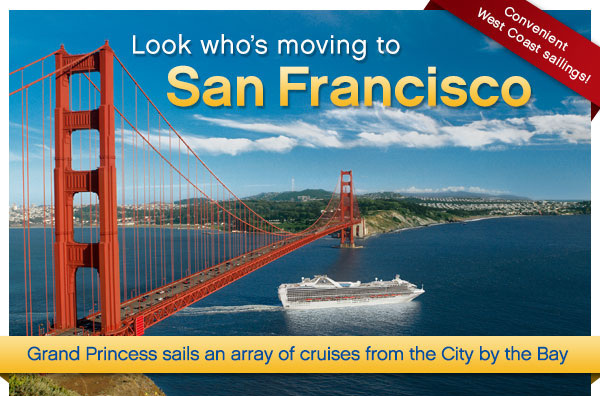 This promotional piece was created and distributed by an independent travel agency, not by Princess. 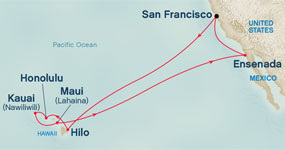 † Port order and content for all itineraries may vary due to final berth or anchorage availability.